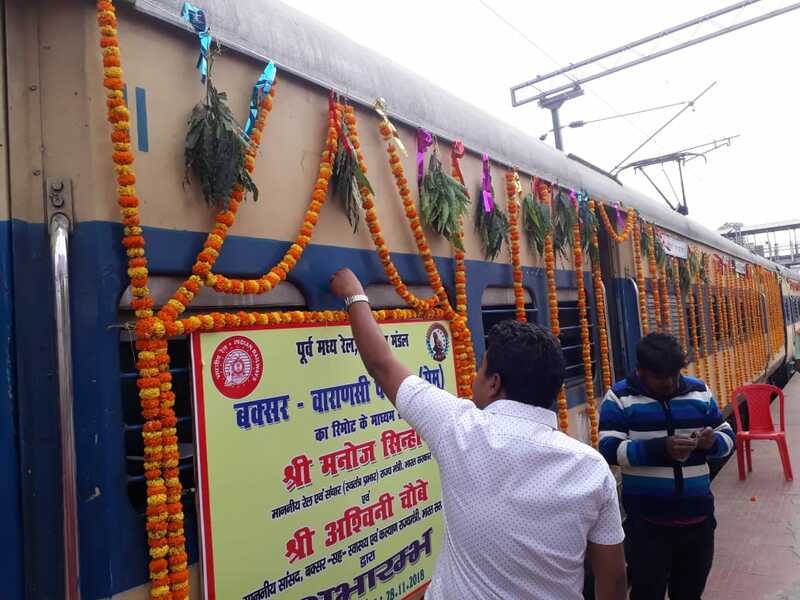 Minister of State of Railways and Minister of State (I/C) of Communications, Shri Manoj Sinha flagged off one pair of 63229/63230 Buxar-Varanasi MEMU. This train will provide additional end to end connectivity between Buxar and Varanasi. Minister of State of Health and Family Welfare, Shri Ashwini Kumar Choubey, Member Traffic, Railway Board, Shri Girish Pillai, Member Rolling Stock, Railway Board, Shri Rajesh Agrawal with other Railway Board Members, Senior Officials of Railways and other dignitaries were present on the occasion. Speaking on the occasion Shri Manoj Sinha congratulated the people of Buxar for this new MEMU train. He said “this 16 coach MEMU train has the capacity to carry around 1500 people. This new train would facilitate travel of people of Buxar to Kashi.” He also added that lot of infrastructure development projects have been initiated at Buxar. He also highlighted the historic transformation currently underway in Indian Railways. Speaking on the occasion, Shri Ashwini Kumar Choubey said “Today it is moment of joy for the people of Buxar as this direct train will be helpful for travelling to Kashi. It is important to mention that lot of development works have been carried out in Buxar during this Government. 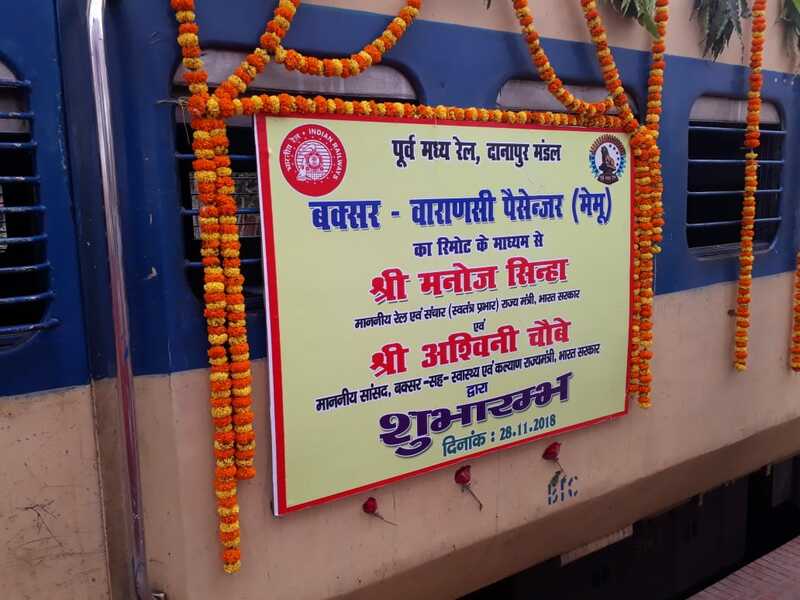 Four ROBs in Buxar have been sanctioned by Ministry of Railways.” He also thanked Shri Piyush Goyal and Shri Manoj Sinha and congratulated Ministry of Railways’ officials for introducing this MEMU train.